We’re super excited that Frozen, Jr’s liscencing has become available via MTI for schools around the nation. 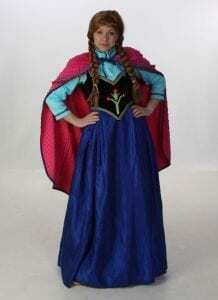 We’ve been eagerly awaiting the day we can announce our costumes are available for the Icy sisters of Arendelle. Do doubt this show will be popular, so be sure to get your order in early! Not only do we have the iconic dresses for the sisters themselves, but we have enough to costume your whole show: from Hans to Kristoff, Sven, Olaf, and the townsfolk, and even the white chorus of snow dancers! 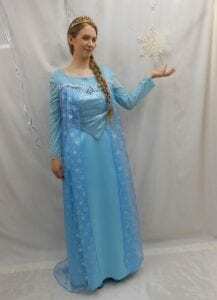 Contact us today for a free costume plot!